Thanksgiving was awesome! CMS wanted to provide a personal service to a veteran family that could use a helping hand. Therefore, we connected with a beautiful family. We presented them with new housewares for their kitchen and a catered meal. Their appreciation was evident in the message they sent us: “Thank you sooo much for everything! It’s more than we hoped for! We appreciate everything you’ve given us! Happy thanksgiving! 旅 “The pleasure was all ours! The giving didn’t stop there. 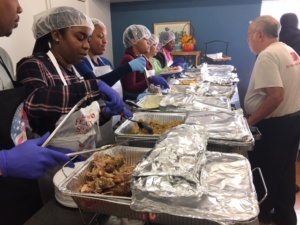 A few staff volunteered to serve dinner and interact with veterans at Access Housing on Thanksgiving Day. 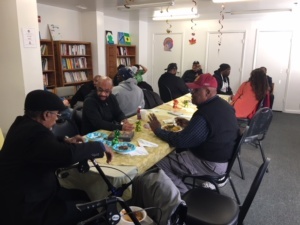 This was in partnership with the HUD Veterans Affinity Group and the National Football League Players Association Former Players, Washington Chapter. 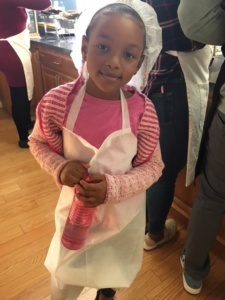 There was plenty of food and fellowship, and people of all ages came to lend a helping hand.